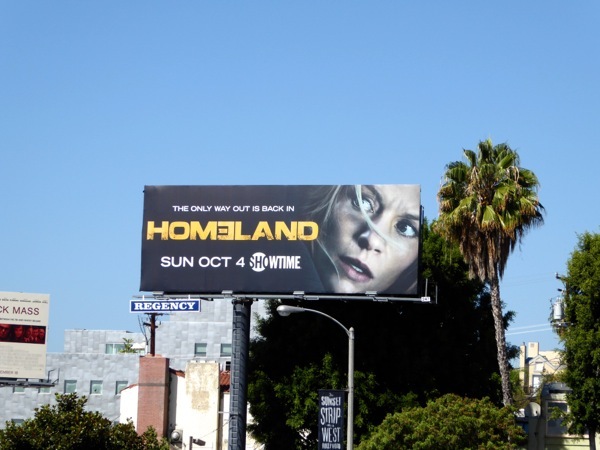 After a stellar fourth season where Homeland found its groove again in Pakistan, it's time to see whether the show can keep the intrigue and moral dilemmas coming for its fifth season. 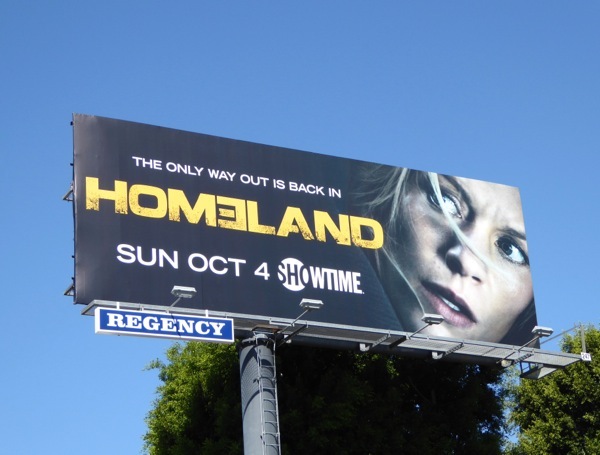 When we last saw 'Carrie Mathison' (Claire Danes) she'd quit the CIA, ended any chance of romance with 'Quinn' (Rupert Friend) and been burned once again by 'Saul' (Mandy Patinkin). 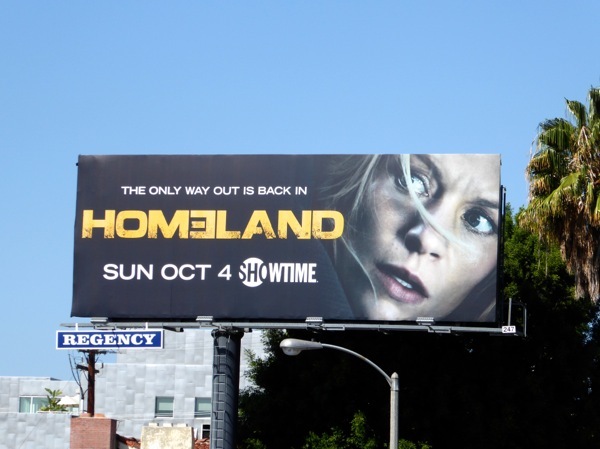 But we all know that Carrie's at her best when she's up to her neck in conspiracies, terrorist threats or off her meds, so for the new season of Homeland it looks like she's diving back in to the trouble. Time jumping a few years to a storyline set in Germany, she has a new head of security job, new boyfriend and her daughter is living with her, when an Edward Snowden WikiLeaks inspired plot draws her back into the world of the CIA. 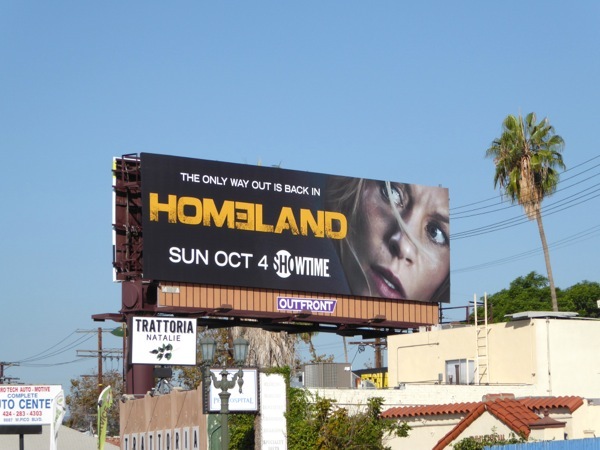 This season five ad creative, with Carrie looking over her shoulder evoking a sense of paranoia, was snapped along the Sunset Strip in West Hollywood on September 6, 2015. 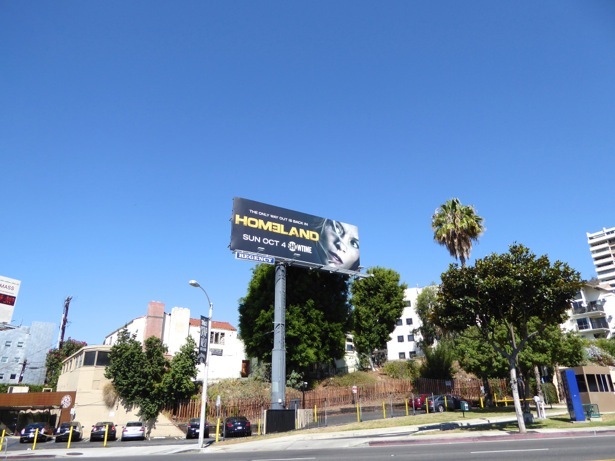 If you're a fan of the show, be sure to also check out all these previous season promo billboards for Homeland and if you're an admirer of Rupert Friend, you can also see him in these Hitman: Agent 47 movie billboards. Now let the countdown begin until Carrie goes rogue yet again. 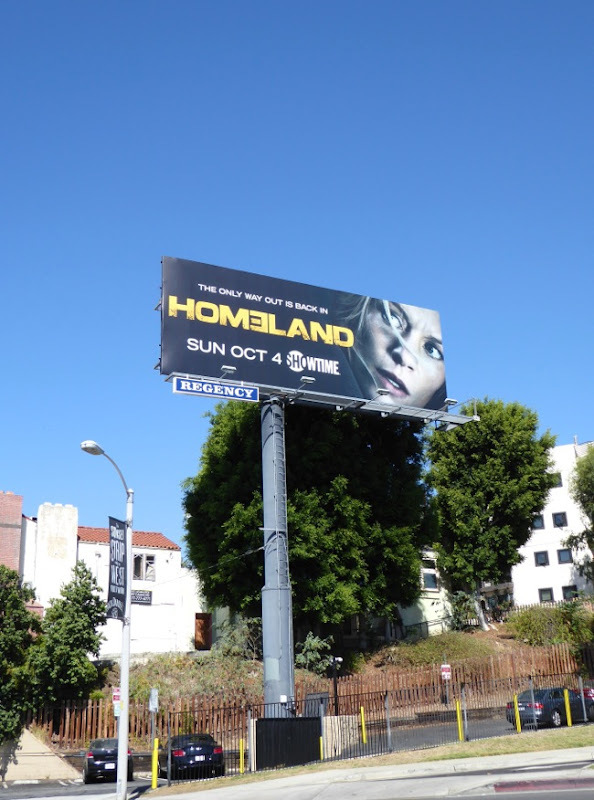 UPDATED: Here's another billboard for the fifth season spied at street level along Pico Boulevard on October 3, 2015.